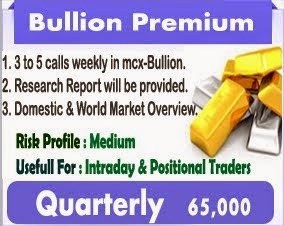 BULLION - MCX Gold and silver may witness choppy trade in line with international market but bias may be on the downside. COMEX gold trades in a narrow range near $1330/oz after 0.2% decline yesterday. Gold has corrected from recent highs but has turned range bound awaiting more clarity on US China trade issue, Brexit and Fedâ��s monetary policy. US President has decided to extend the March 1 deadline to impose higher tariffs on Chinese imports and also plans to meet Chinese President to finalize the deal. However, President Trump also said Monday an agreement "might not happen at allâ�� and this fuelled some nervousness in the market. On Brexit front, UK Prime Minister has delayed a final vote to March 12 while there are report that Theresa May is considering a plan to delay Brexit. Fed has maintained patient rate hike stance but recent FOMC minutes showed that the central bank is not that dovish. Further clarity will come from Fed Chairman Jerome Powellâ��s testimony. ETF outflows show weakening confidence in goldâ��s price gains. Gold holdings with SPDR ETF fell by 1.1 tonnes to 788.331 tonnes. Gold may witness range bound movement unless we get more clarity on US China trade issue and Feds monetary policy stance however bias may be on the downside as risk sentiment has improved while ETF outflow continue. ENERGY- Crude Oil- MCX Crude may witness choppy trade in line with international market but buying could emerge at lower levels. NYMEX crude trades weaker near $55 per barrel after a sharp 3.1% decline yesterday. Crude oil came under pressure post US Presidentâ��s comments on higher price. US President Donald Trump tweeted that prices are too high and called on OPEC to â��relax and take it easy.â�� President Trump last year had expressed concerns about higher crude price which were near 4-year high and this caused OPEC to consider a production hike. Market reacted sharply to Trumpâ��s comments yesterday amid concerns that OPEC may come under pressure and stop production cuts however OPEC is unlikely to bide under pressure as price are still not that high. Also weighing on crude oil are reports of restart of crude production at Saudi Arabiaâ��s 1 million barrel per day Safaniyah oilfield. Equity markets also turned choppy after initial enthusiasm over US-China trade progress. Also weighing on crude price is expectations of another increase in US crude oil stocks. However, supporting price is OPECâ��s production cuts and supply issues relating to Venezuela and Iran. Easing worries about US-China trade dispute is also supportive for commodities at large. Crude rallied over 25% since start of the year without any significant correction. The sell-off was long overdue and President Trumpâ��s comments were just the trigger. We believe that market overreacted to President Trumpâ��s comments and we could see some stability in coming sessions. Focus today will be on US economic data and any comments from OPEC post Trumpâ��s statement. 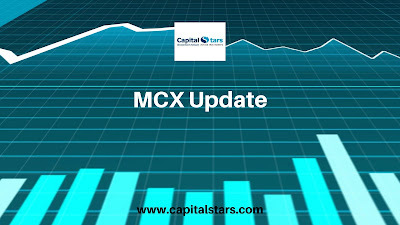 Natural Gas- MCX Natural gas may note some gains tracking cues from international exchange. NYMEX natural gas trades mixed near $2.8/mmBtu after a sharp 4% rally in previous session. Supporting gas price is forecast of cold weather in US which will increase heating demand. Also supporting price is supply outage in Texas and expectations of another bigger than average decline in gas stocks. However, weighing on price is nearing end of high demand winter season and higher US gas production. Natural gas lately plunged to 1 year low and we are now seeing some recovery. While cold weather in US has lent support to price, the gains are partly also due to short covering ahead of contract expiration. Natural gas has broken the $2.8/mmBtu level and could see some extended gains. BASE METAL - Base metals on LME trade sideways to lower today after noting a volatile session yesterday. LME Lead was the best performer with 0.6% gains followed by nearly unchanged Copper prices. 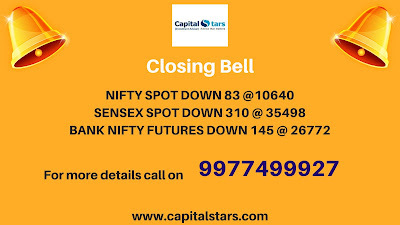 In other metals, Aluminium Nickel and Zinc closed 0.4%, 0.1% and 0.2% lower respectively. BULLION - MCX Gold and Silver may witness choppy trade in line with international market but buying could be considered at lower levels. COMEX gold trades near $1328/oz after testing the highest level since April 2018. Gold has benefitted from correction in US dollar index from recent highs as market players await more clarity on US-China trade and Fed monetary policy stance. US-China trade talks will continue in Washington this week and while talks are progressing well there has been no concrete announcement yet. Also market players are assessing the possibility of US extending the March 1 deadline and potential of a meeting between US and Chinese President. Meanwhile trade worries rose as US investigators submitted report on the effect of imports of automobiles and automobile parts on the national security of the US increasing possibility of auto tariffs. European Union vowed prompt retaliation if the US imposes tariffs on imported vehicles. FOMC minutes due this week will reflect central bank stance on rate hikes as well as balance sheet reduction plan. Amid other factors, ETF outflows show weaker investor interest however this may change if price holds near $1330/oz levels. Gold may witness choppy trade awaiting fresh cues however overall bias is still positive given increasing global uncertainty and dovish tilt of major central banks. ENERGY- Crude Oil- MCX Crude may witness choppy trade in line with international market but overall bias is still positive. NYMEX crude trades near $55.75/bbl after hitting a November 2018 high of $56.06/bbl earlier this week. Brent crude trades weaker near $66/bbl after yesterday modest gain. Crude rallied sharply last week as rally in US equity market was coupled with Saudiâ��s pledge to deepen production cuts and supply disruption at Saudiâ��s Safaniyah oilfield, world's largest offshore oilfield. The rally came to a halt as market players assess US-China trade talks as well as longevity of supply outage in Saudi Arabia. Talks between US and China are progressing however there has been no concrete announcement yet while there is a possibility that US may extend the March 1 deadline. Tensions between US and European Union rose after EU vowed prompt retaliation if the US imposes tariffs on imported vehicles. On supply side, there is not much clarity on how long the supply disruption in Saudi will continue. OPEC has achieved 70% compliance with production cut deal that will run from January to June and Saudi has indicated that it is willing to deepen cuts. In further signs of falling supply from Saudi, reports noted that Saudi exports fell 6.7% to 7.687 million barrels per day in December. Crudeâ��s rally is also challenged by rising US crude stocks, record high US crude production and Russiaâ��s hesitance in extending cooperation with OPEC. Crude has rallied sharply in last few days and lack of fresh factors could result in some profit taking but overall bias is still positive given progress in US-China trade talks and OPECâ��s production cuts. 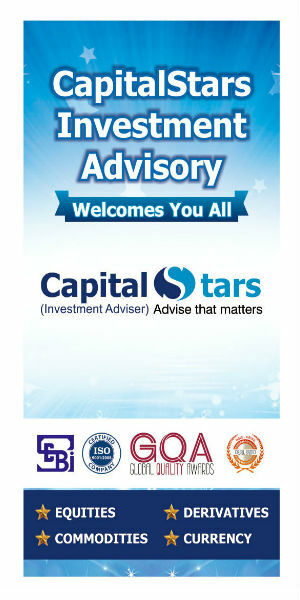 Natural Gas- MCX Natural gas may note mixed trade in line with international market but sell on rise is suggested. NYMEX natural gas trades mixed near $2.63/mmBtu holding on to last weekâ��s minor gain. Natural gas has seen some buying interest after recent drop to 1-year low. US weather forecasts are mixed as cold snap is forecasted in western and Midwest US while warmer weather is seen in East Coast. On supply front, production remains high while smaller than average decline in gas stocks has eased tightness concerns. Drop in rig count however questions the sustainability of production growth. Natural gas may witness choppy trade unless there is clarity on weather front but overall bias remains weak as winter is nearing an end and US supply is not as tight. BASE METAL - Base metals on LME trade sideways to lower today following mixed movement yesterday. LME Lead was the worst performer with 2.3% drop followed by 0.6% slide in Zinc prices and modest 0.2% decline in Aluminium prices. 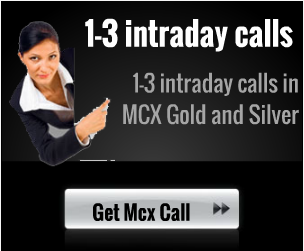 In other metals however Copper prices ended with 1.4% gains while Nickel ended 0.4% higher.